LumiVision (formally Lumimed) LED Desktop Illuminator is a new generation of Flat Screen LED Desktop Illuminators. With a Depth of only 1.5 inches, this Slim LumiVision design aesthetically brings a modern, professional look to any office or clinic. The slim modern design plus the lightweight feature (single Bank weighs only 6.5 lbs.) 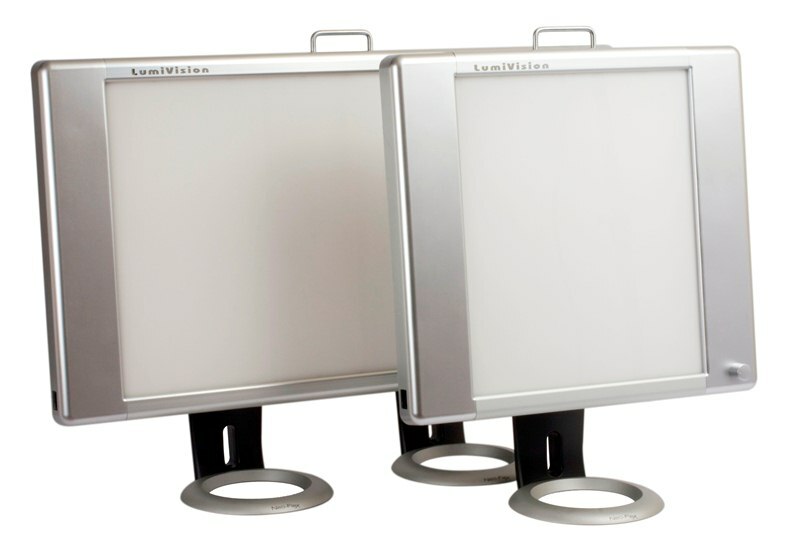 allows you to conveniently move these desktop illuminators from one location to another. Ideal for Practitioners and Attorneys. The LumiVision LED Desktop Illuminators are offered as Single or Dual Units and come complete with Dimmer Controls, Automatic Film Activation, Carrying handles and Removable Stands. Finally a NEW Energy efficient LED view box with sturdy aluminum frame and metal casing. On/Off Switch and fine dimmer controls for each bank highly suitable for accurate readings. Automatic "Film Activated Switching" (FAS) standard for instantaneous lumination when film is inserted. High Luminance ideal for diagnosis of x-ray films. 93%uniformity! LED Lamps are flicker free. 1.5 Inch Thickness provides a modern sleek image. Lightweight (Single Bank wieghs only 6.5 lbs) with pleasing Metallic asthetics. Includes removable Stands on both Single and Dual Units. Traditional Fluorescent Lamp lasts 3,000 hours. 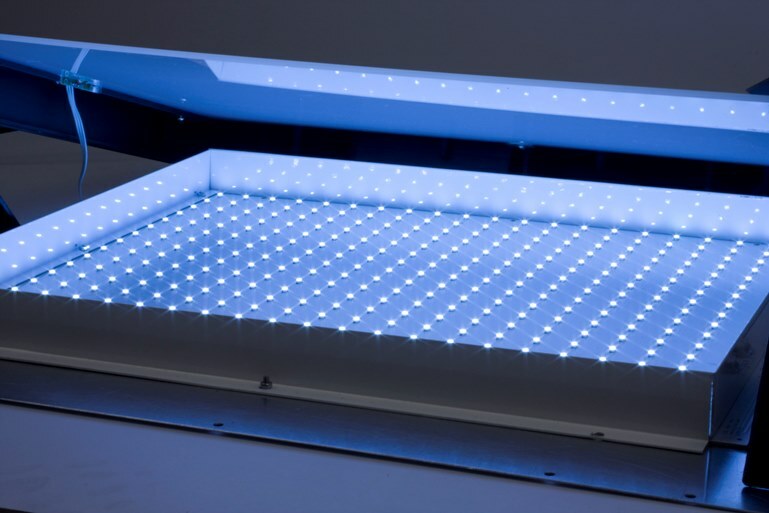 LumiVision uses Electrode Fluorescent Lamp which lasts approx. 100,000 hours. Conventional Viewers are suitable for Colored Films, approx. 6,400 kelvin. LumiVision is suitable for X-ray Films, approx. 9,000 kelvin. Conventional viewers make it impossible to create the luminance according to the developed film density. LumiVision increases efficiency with a Multi Function Light-Dimming Switch for each bank. Slim Modern Design makes for high spacial application: 1.5 inch thickness.